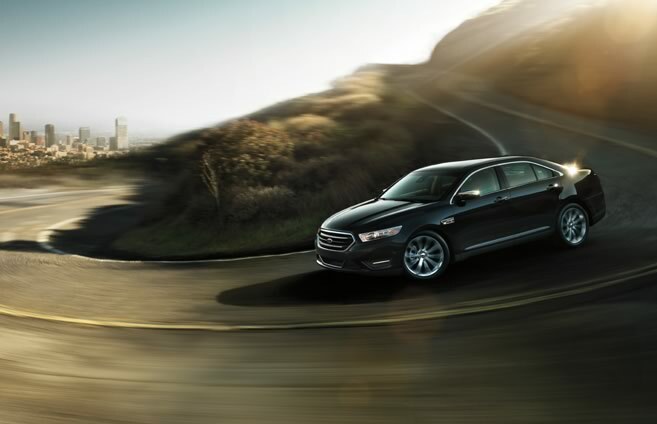 Taurus features a standard 3.5L V6 and two available EcoBoost® engines. 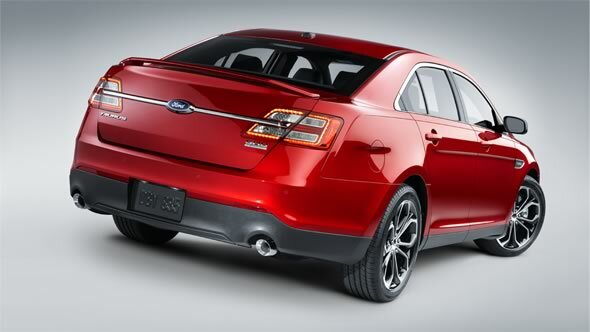 Standard 3.5L V6 - 288 horsepower, 254 lb.-ft. of torque, EPA-estimated rating of 19 city/29 hwy/23 combined mpg. * Automatic, FWD. 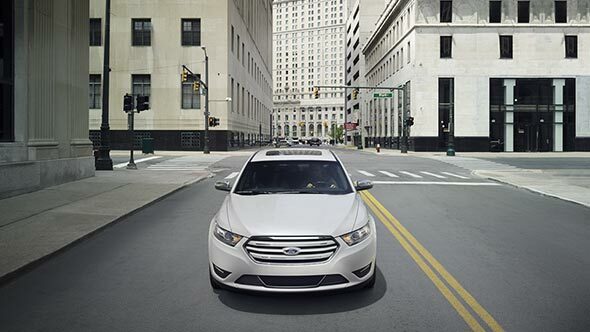 Available 3.5L EcoBoost V6 - 365 horsepower, 350 lb.-ft. of torque,** EPA-estimated rating of 17 city/25 hwy/20 combined mpg. * Automatic, AWD. Standard on SHO. 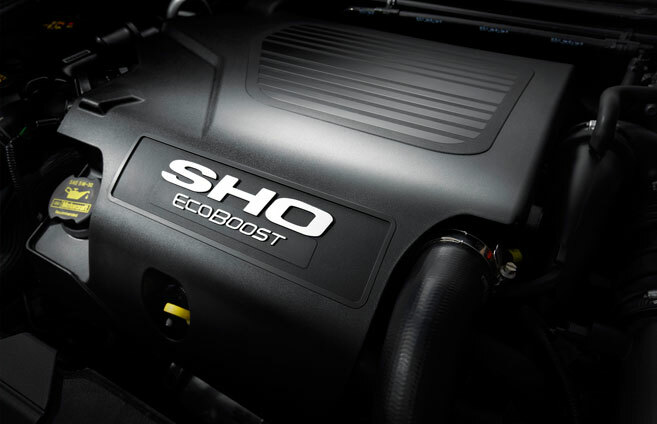 Available 2.0L EcoBoost I-4 - 240 horsepower, 270 lb.-ft. of torque,** EPA-estimated best-in-class† rating of 22 city/32 hwy/26 combined mpg. * Automatic, FWD. *Actual mileage will vary. **Using 93-octane fuel. 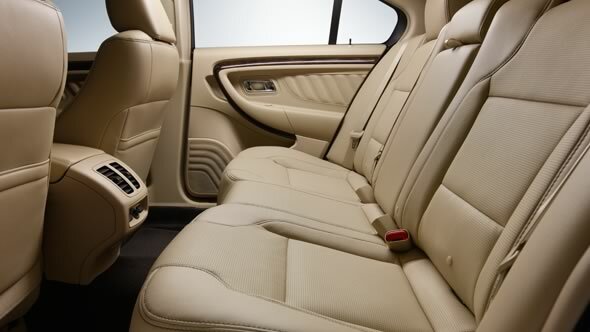 †Class is Full-Size Non-Hybrid Sedans. Two great control systems. Added confidence around the curves. 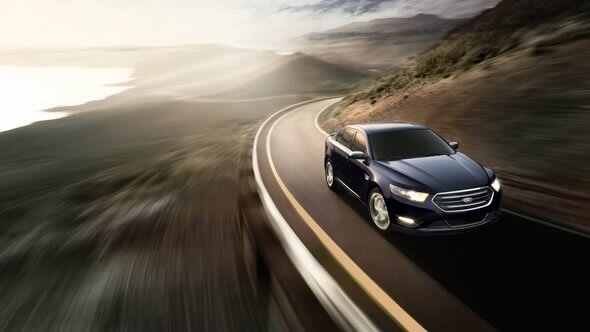 With Torque Vectoring Control, the system transfers torque to the wheels that have the most grip. It uses braking to adjust the speed between the front wheels while you're accelerating through a corner, forcing the front end to hug the inside of the curve and provide a better grip. Curve Control will slow you down when it senses that your vehicle is going too fast through a particular curve. 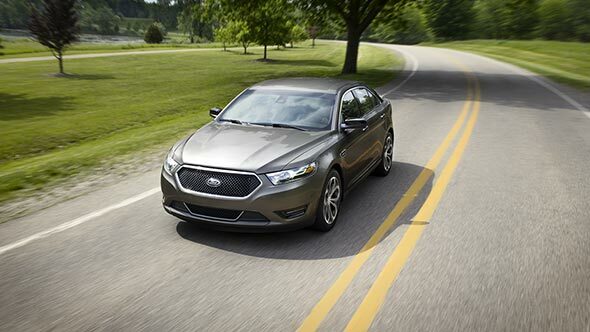 Employing throttle reduction and four-wheel braking intervention, it's always active in helping you maintain control. *Remember that even advanced technology cannot overcome the laws of physics. It's always possible to lose control of a vehicle due to inappropriate driver input for the conditions. The Taurus Limited in Dark Side. 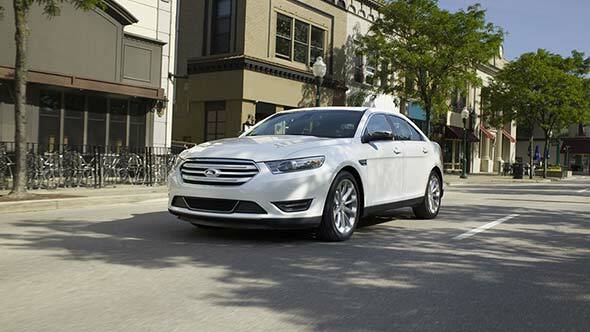 The Taurus Limited in Ingot Silver with available 2.0L EcoBoost® engine. 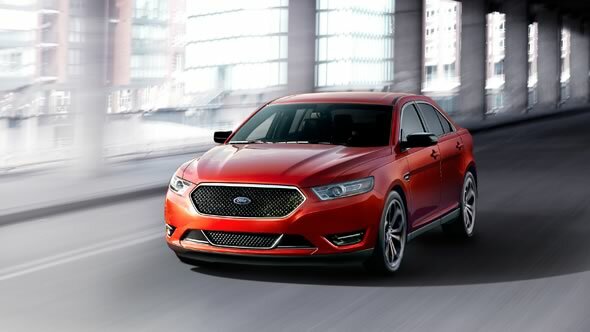 The Taurus SHO shown in available Ruby Red Metallic Tinted Clearcoat with optional 20-inch wheels and available moonroof. 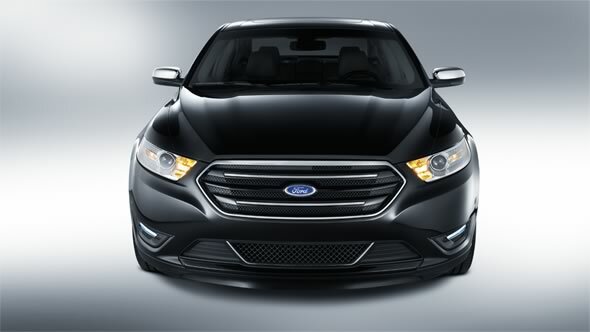 The Taurus Limited shown in Tuxedo Black Metallic. 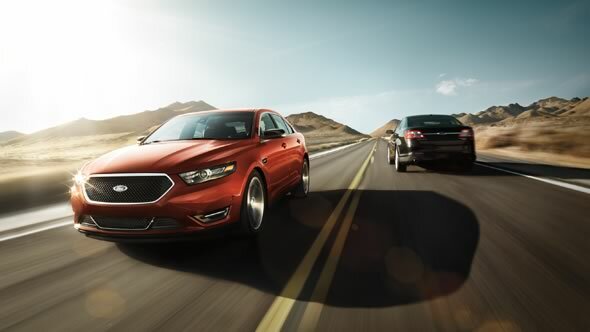 On the left, the Taurus SHO in Bronze Fire. On the right, the Taurus in Tuxedo Black Metallic. 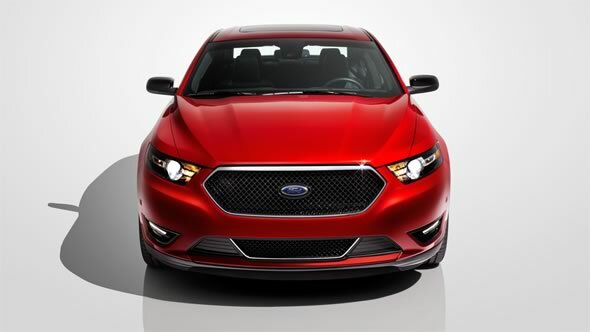 The Taurus SHO in available Ruby Red Metallic Tinted Clearcoat with standard 20-inch machined aluminum wheels with black-painted pockets. 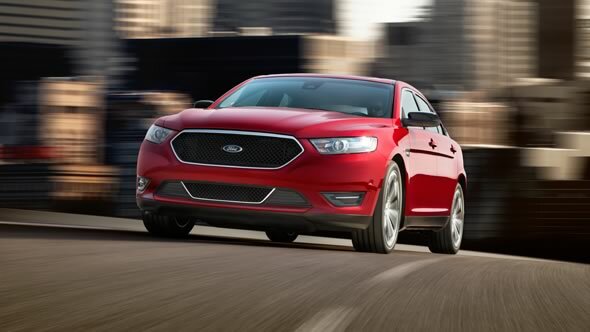 The Taurus SHO in available Ruby Red Metallic Tinted Clearcoat. The Taurus Limited in Tuxedo Black. 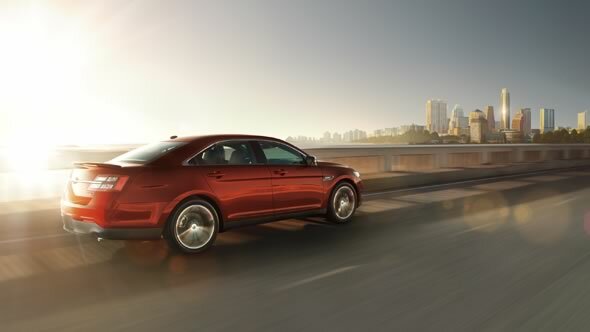 The Taurus Limited in Dark Side Metallic. 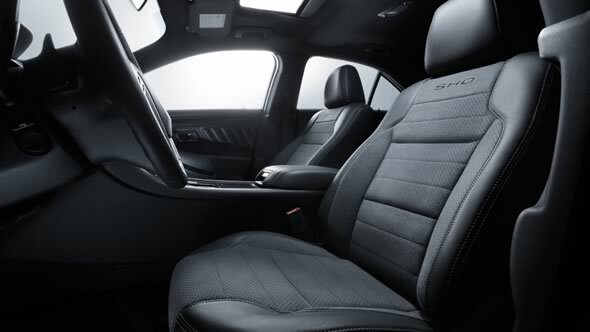 The Taurus SHO shown with leather-trimmed seats with embroidered SHO graphics or leather-trimmed seats with Mayan Gray Miko® suede inserts. The Taurus interior in Dune. 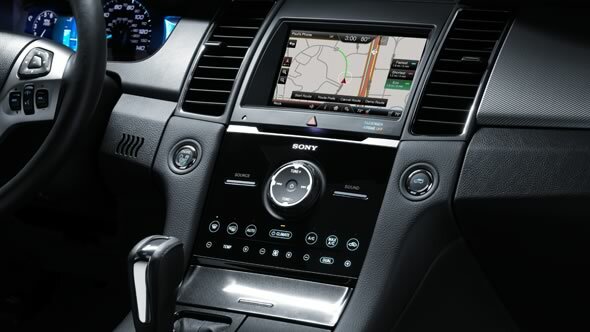 The Taurus SHO with available Navigation System and available Audio System from Sony® with HD Radio™ Technology. 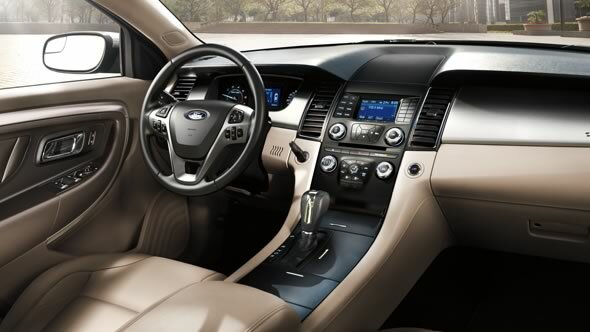 The Taurus Limited in Dune with available Audio System from Sony® with HD Radio™ Technology. 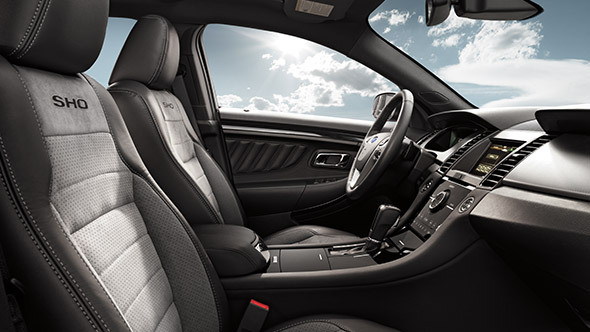 The Taurus Limited in Dune with perforated leather-trimmed front seats. The Taurus SEL in Dune with standard perforated leather-trimmed 60/40 split rearfolding seats. The Taurus Limited in Dune. 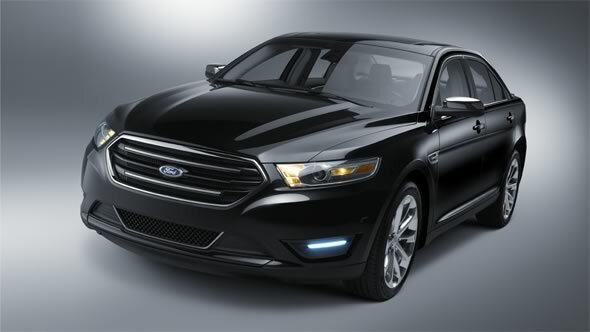 The Taurus SHO in Charcoal Black. 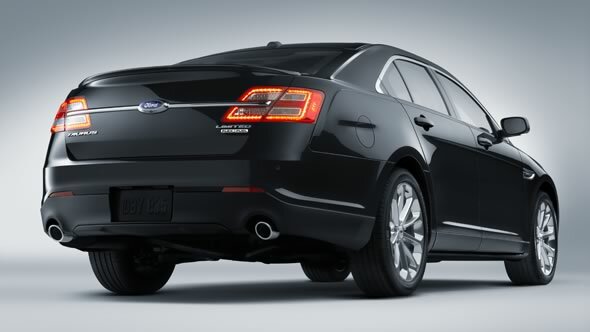 The Taurus Limited in Tuxedo Black Metallic with available 20-inch polished aluminum wheels, available rear spoiler and available moonroof. 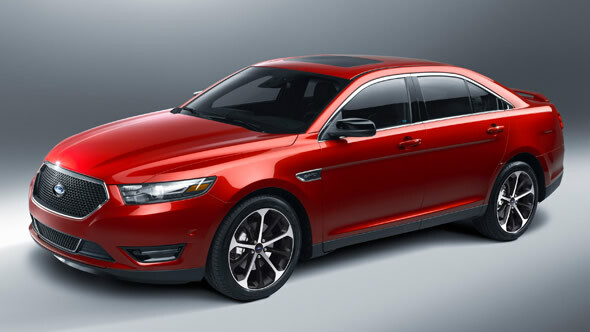 The Taurus SHO in available Ruby Red Metallic Tinted Clearcoat with available moonroof. 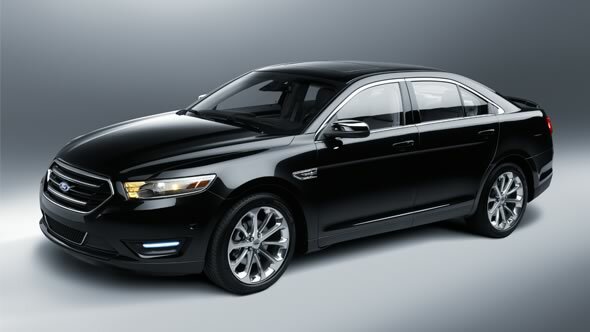 The Taurus Limited in Tuxedo Black Metallic with available moonroof, rear spoiler and standard 20-inch polished aluminum wheels. Taurus Limited in White Platinum Metallic Tri-coat with available 20-inch polished aluminum wheels. Taurus Limited in White Platinum Metallic Tri-coat with available 20-inch polished aluminum wheels and other optional equipment. 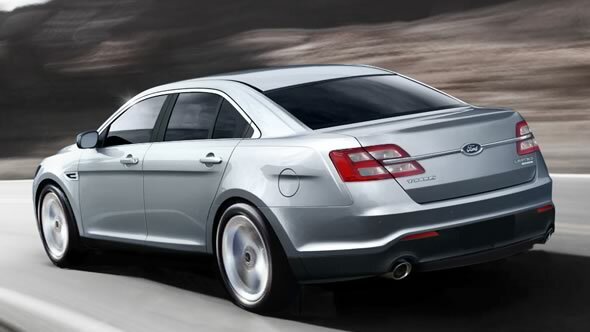 Taurus SHO in Ingot Silver with available 20-inch polished aluminum wheels. 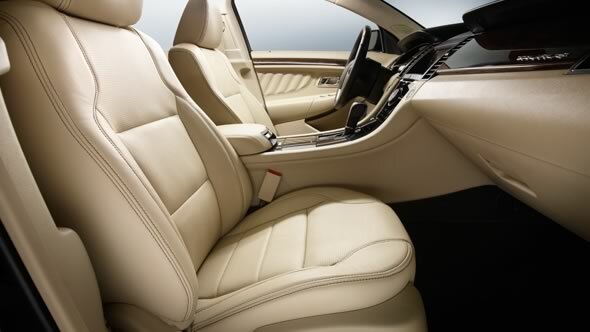 Taurus Limited in White Platinum Metallic Tri-coat with optional equipment. 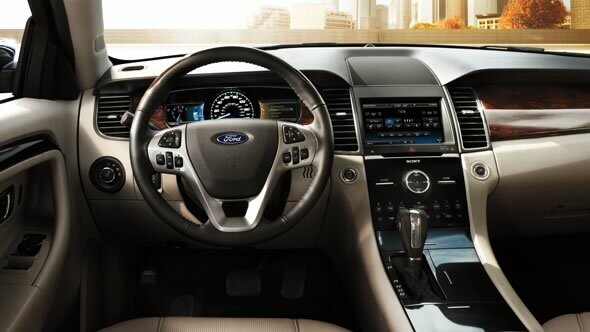 Available radar-enabled collision warning with brake support is designed to alert you within a quarter second through the heads-up display on your windshield if sensors detect a potential frontal collision. Driver-assist features are supplemental and do not replace the driver's judgment. 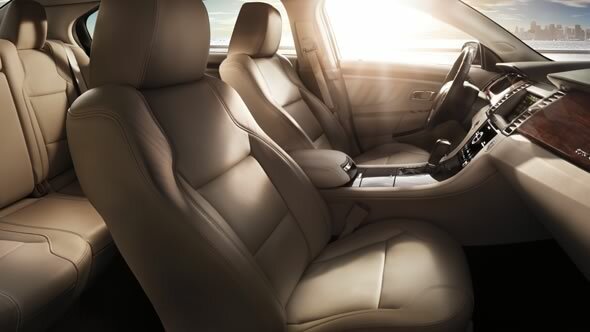 It's a good bet you've never sat in a car with front seats that provide a lumbar massage -that is, until now. Available BLIS (Blind Spot Information System) uses radar in the rear quarter panels todetect a vehicle entering your blind spot and alerts you with an indicator light in thesideview mirror. 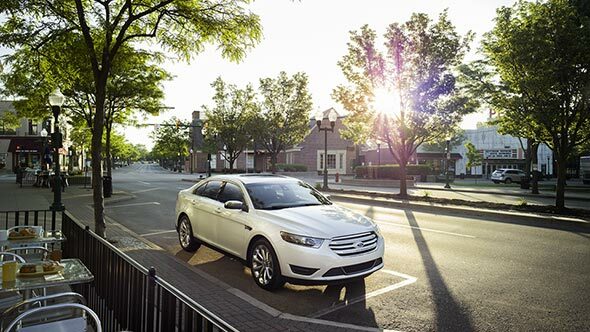 Available adaptive cruise control (ACC) functions just like normal cruise control, but with one exception: When the system is activated and its sensors detect traffic slowing ahead, your vehicle automatically slows to maintain the distance you've set. 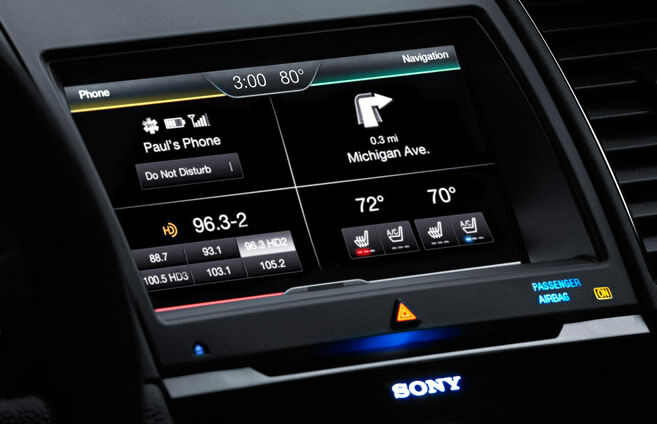 The available Audio System from Sony® is the perfect complement to the high-quality Taurus interior. The Lane-Keeping System* – consisting of the lane-keeping alert and the lane-keeping aid– can alert you when your vehicle starts to drift from your lane. 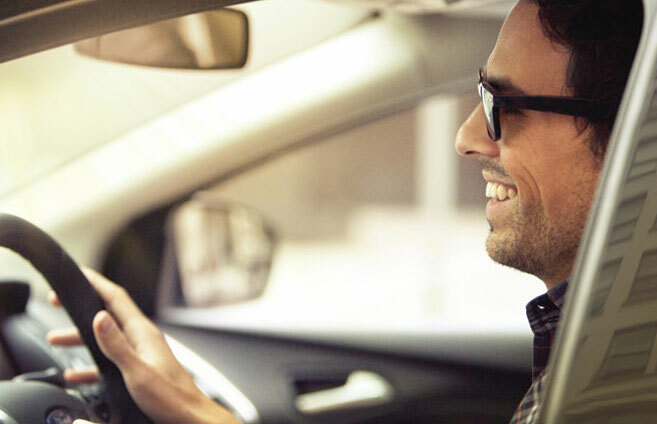 Available voice-activated SYNC technology helps keep you connected to your world while you keep your eyes on the road and hands on the wheel. Enjoy a soothing, relaxing lumbar massage with this innovative class-exclusive** feature. *Available in the Limited and SHO models. 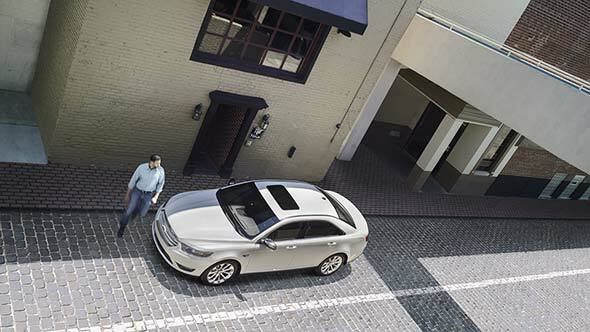 **Class is Full-Size Sedans. 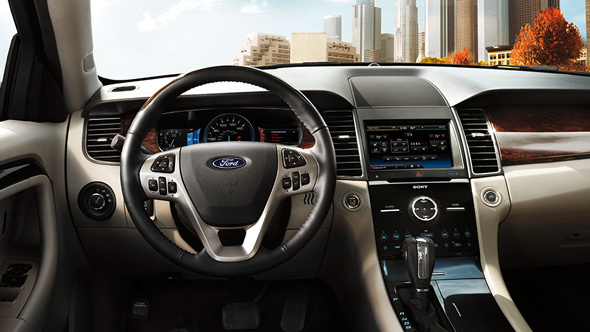 Available climate control features in the Taurus can provide year-round comfort. *Standard on the Limited and SHO models. The Lane-Keeping System - consisting of lane-keeping alert and lane-keeping aid - can alert you when your vehicle starts to drift from your lane. 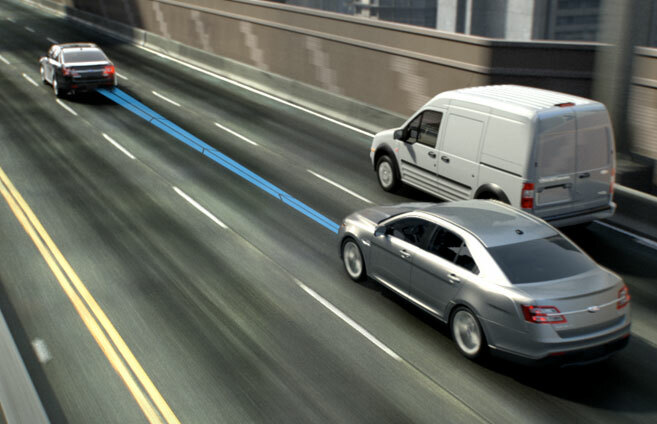 Lane-keeping aid applies steering torque, which can help you steer the vehicle back toward the target lane should the system detect an unintended lane departure. Lane-Keeping System does not control steering. 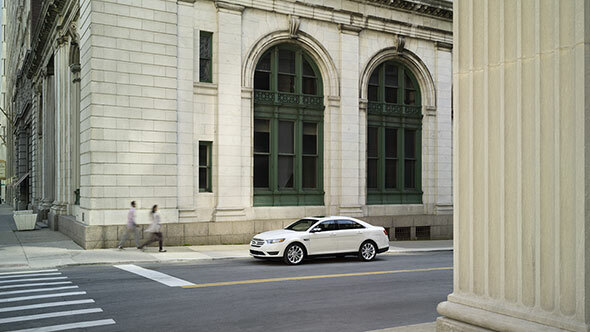 Driver-assist features are supplemental and do not replace the driver's judgment. 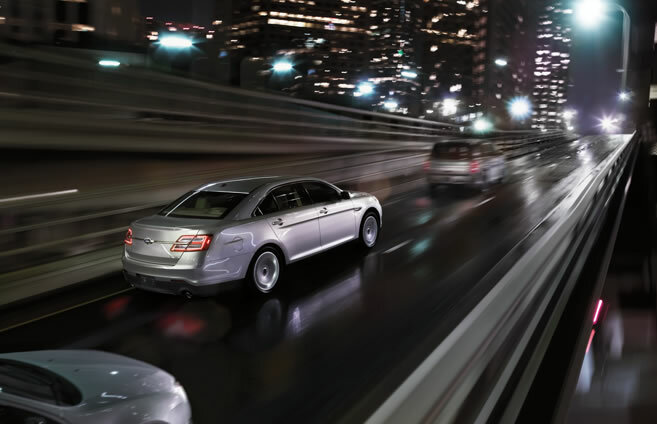 The available adaptive cruise control (ACC) is a truly adaptable feature. 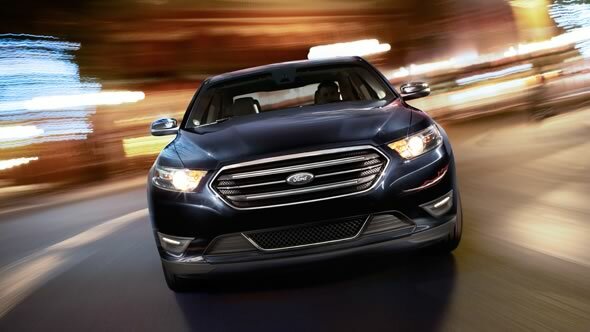 *Optional on the Taurus Limited and SHO models. Not available with the Performance Package. Driver-assist features are supplemental and do not replace the driver's judgment. 20. For Dealer Ordered vehicles, the vehicle has already been ordered by the dealer and is in the process of being manufactured by the factory. If you are interested in the vehicle marked "Dealer Ordered", contact the dealership for a delivery estimate. 28. The vehicle's electrical system (including the battery), the wireless service provider's signal and a connected mobile phone must all be available and operating for 911 Assist to function properly. These systems may become damaged in a crash. The paired mobile phone must be connected to SYNC, and the 911 Assist feature enabled, in order for 911 to be dialed. When the feature is ON, 911 Assist uses your paired and connected mobile phone to assist occupants to contact emergency services by dialing 911 if your airbag deploys or, on certain vehicles, if the emergency fuel pump shut-off is activated. 39. Remember that even advanced technology cannot overcome the laws of physics. It's always possible to lose control of a vehicle due to inappropriate driver input for the conditions.